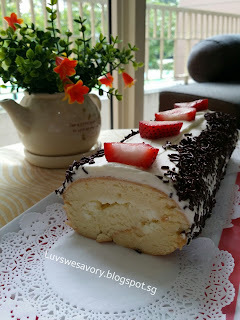 It has been a while since I last made swiss roll cakes for my family. 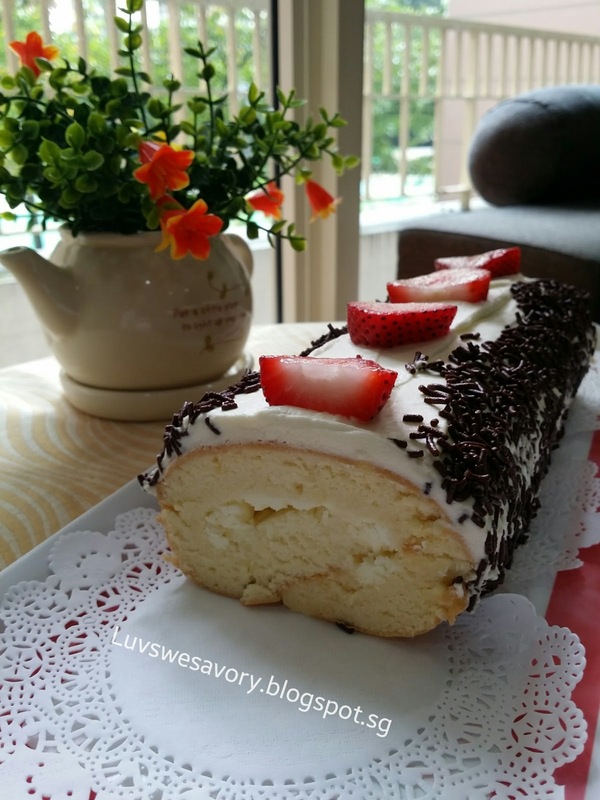 When I baked the chiffon cakes recently, I remembered some chiffon swiss roll recipes that yielded fluffy soft texture which I've made about 2 years ago. 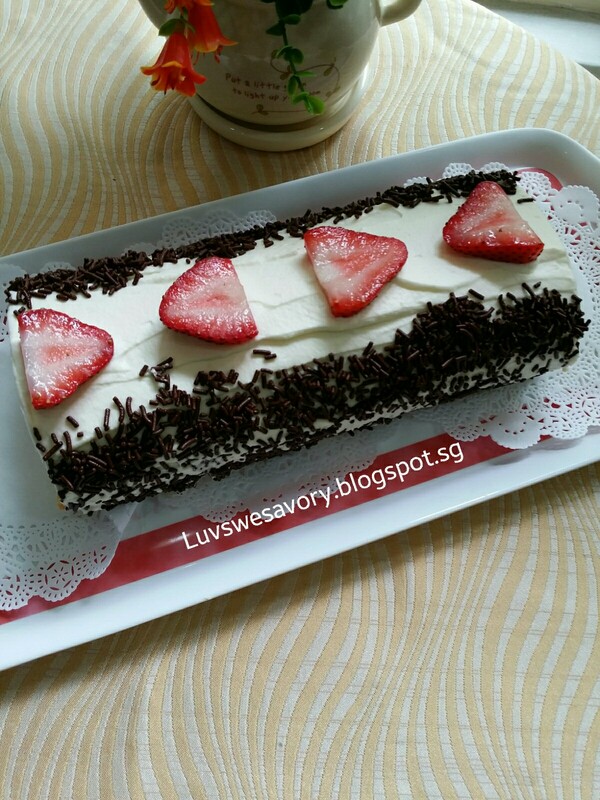 I always have mixed feelings when I make swiss rolls. 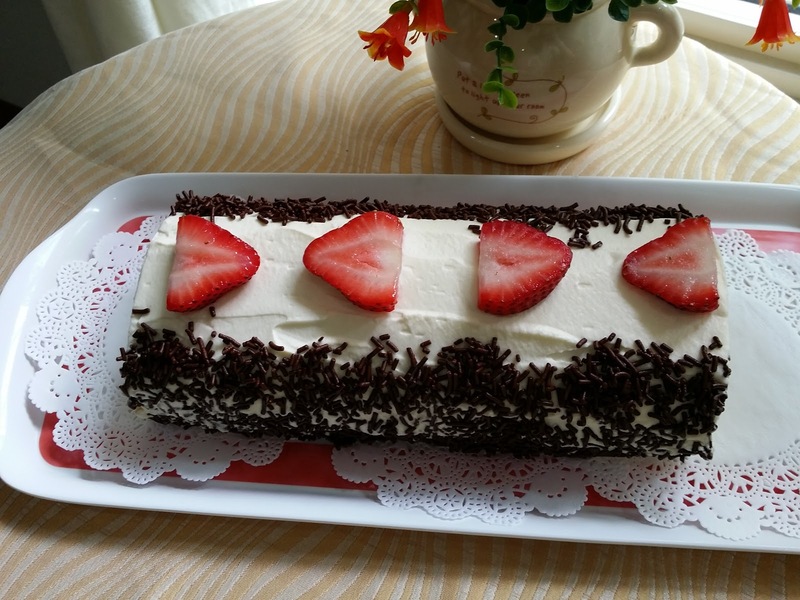 Sometimes if the rolling turned out well with no cracks, I was happy and don't wish to frost any cream on it. 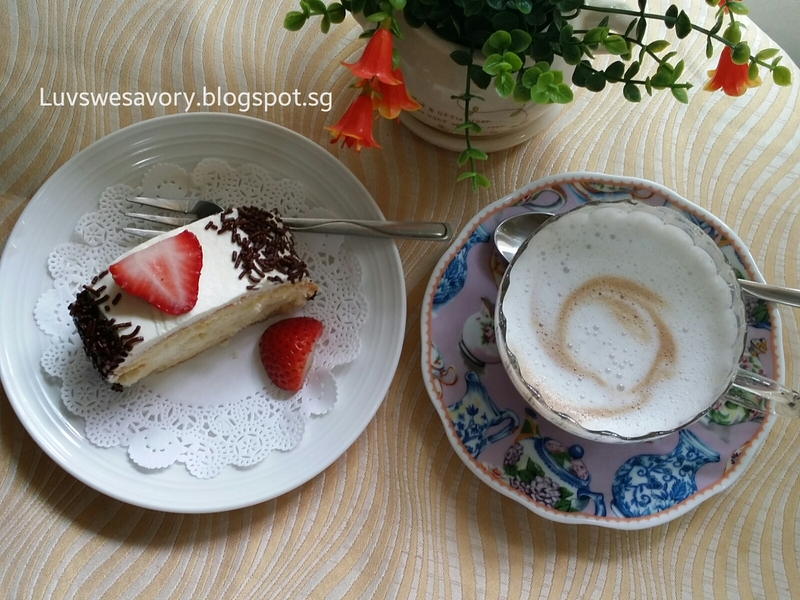 But I would also like to beautify it with cream and toppings etc. But of course if there's crack in the roll ... hee.. hee .. just camouflage with frosting ! 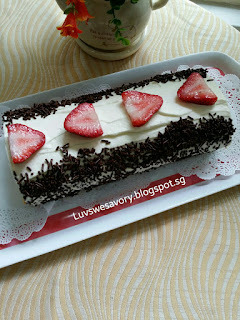 Recipe source : Cookpad, below my slightly modified version using some methods I'm comfortable with in making swiss rolls. 4) In the same mixing bowl, cream together egg yolks and caster sugar until pale and thick using the electric mixer (about 3 - 4 minutes). Add vegetable oil and water and continue beating till it incorporated. 5) Add the sifted top flour and mix until just combined. 7) Pour the batter into baking sheet. Gently tap the baking sheet a few times on table top to release the trapped bubbles in the batter. Bake in the oven for about 12 minutes or the top is evenly light browned, and a toothpick inserted into the centre comes out clean. 8) Remove the baking sheet from the oven, immediately drop the baking sheet at a height onto a table top. This action helps to keep the springy texture of the sponge when it is left to cool. 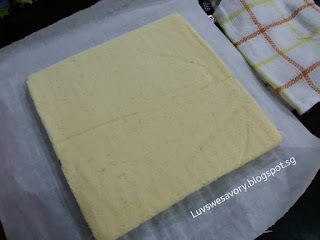 9) Remove the sponge from the tray by lifting the parchment paper and place it on the cooling rack. Cover the surface with a clean damp cloth for about 3 minutes to retain its soft and moist for easy rolling. 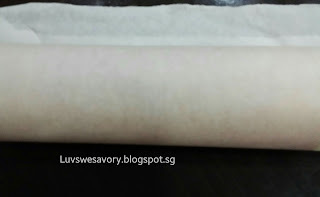 10) Remove the cloth and turn/flip the 'skin' side over onto another clean sheet of parchment paper. Peel off and remove the other sheet of parchment paper. 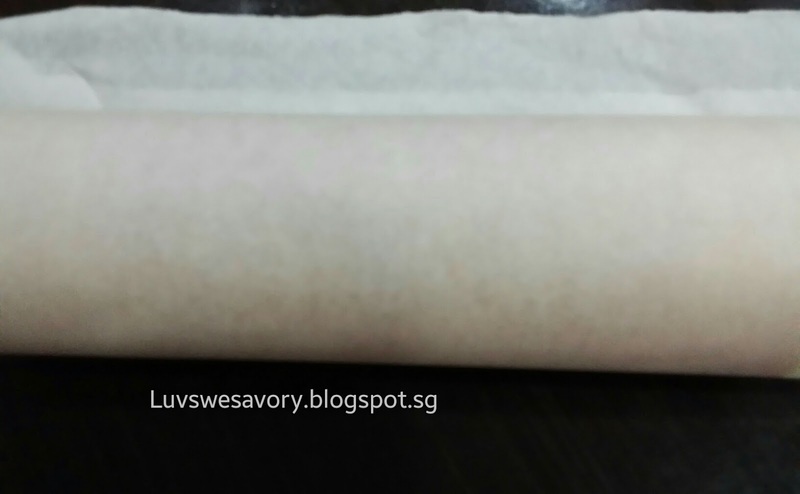 Wrap with parchment paper and chill in fridge for few hours. 11) Spread the whipped cream on the sponge. Spread more cream on the edge closest to you. Roll up gently by lifting it up with the parchment paper. Place the rolled cake seam side down. Wrap with parchment paper and chill in the refrigerator for few hours. Unwrap the parchment paper, spread the roll with whipped cream and decorate as desire. I used some chocolate rice and strawberries. 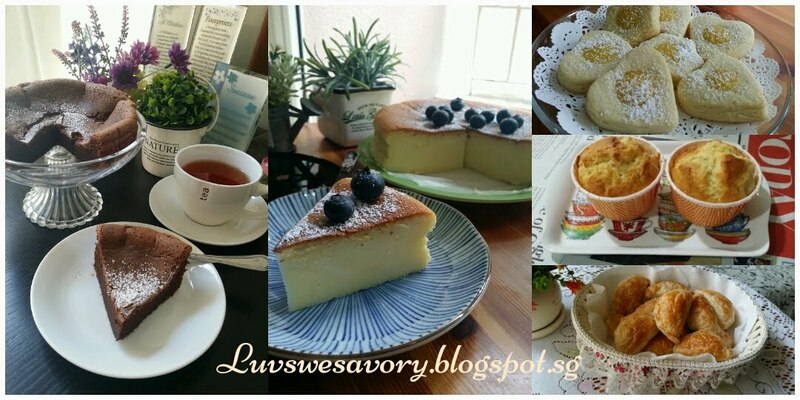 Each slice tasted so fluffy soft and my big kids loved it too ^-^ Enjoy ! 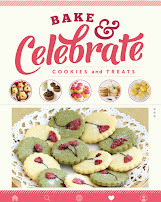 Happy baking & have a great week ahead! 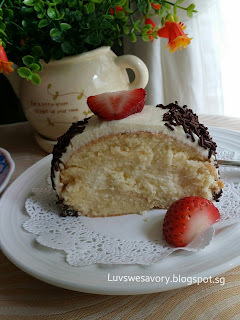 I'm joining Best Recipes for Everyone Event June 2015 Theme: Secret of Chiffon & Roll Cakes. 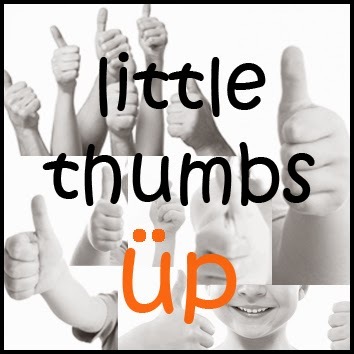 Thanks for the compliment, Fion. Thanks for the compliment, LY. HI Karen I also do that - camouflage when cracked! LOL! Me too. 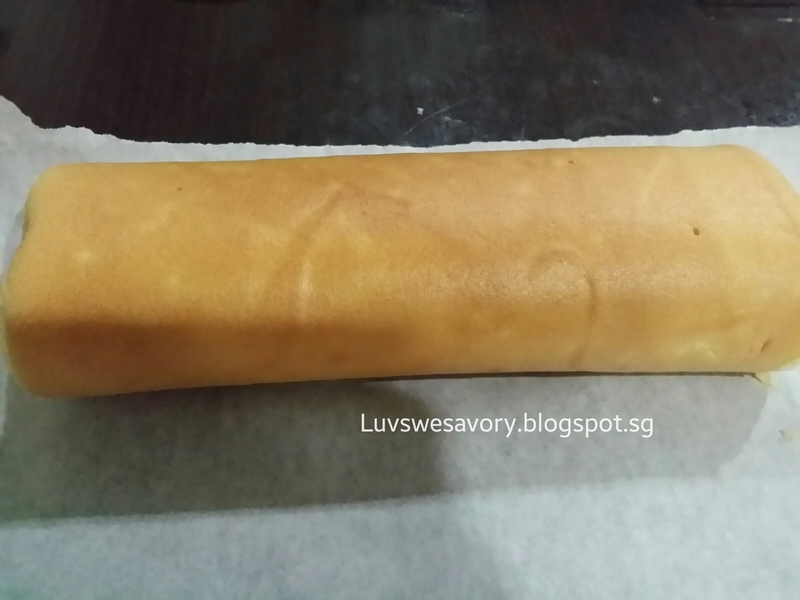 have not baked a swiss roll for quite a while.